The Eleaf GSTurbo Atomizer features a 1.8ml e-liquid capacity with an adjustable bottom airflow system. The Eleaf GSTurbo Atomizer features a 1.8ml e-liquid capacity with an adjustable bottom airflow system. 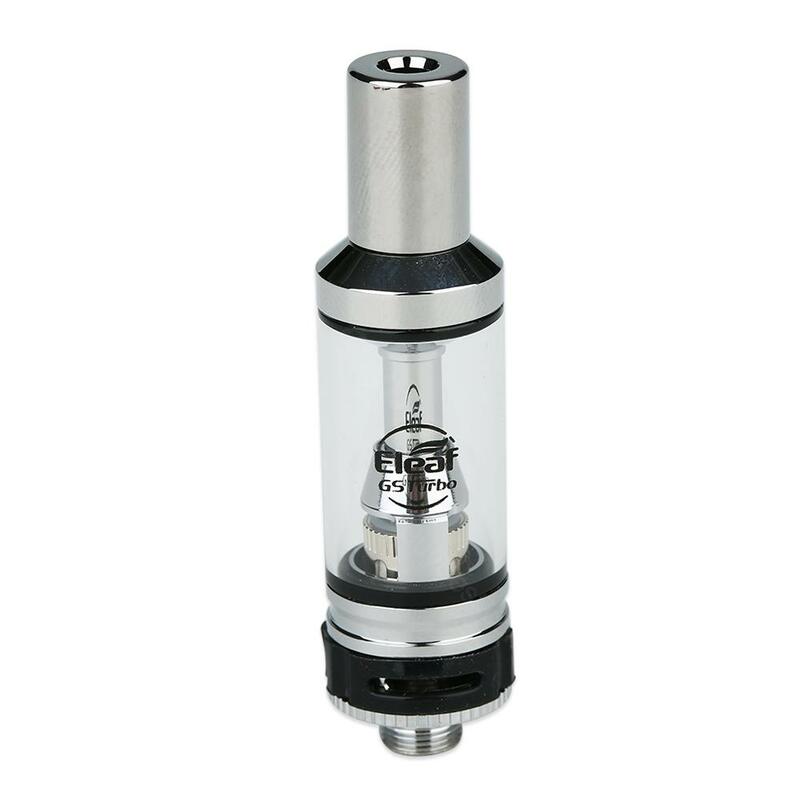 It comes with a pre-installed 0.7ohm GS Air coil head, providing a smooth and gentle flavor for all vapers. Please note that the bottom airflow control ring of GSTurbo is black. Perfectly matching with the iStick Trim Kit/Battery! • Please note that the bottom airflow control ring of GSTurbo is black. • You also can buy the replacement iStick Trim Kit and iStick Trim Battery in HuyBest.